Tiles or Studs: This Crown Kinght Castle Rocks! 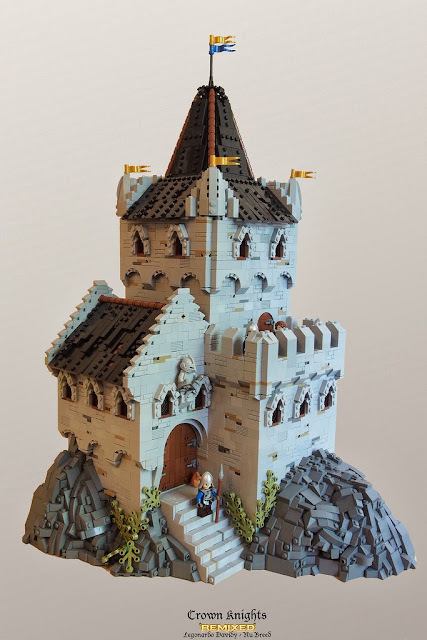 David Hensel a.k.a Legonardo Davidy built an outstanding castle for the Classic Castle Contest. He used hinged plates for the edges of the windows, which is really creative and I haven't seen this technique before. He also manage to build the rocks with slopes but he did not attach them vertically as many of the builders did. This castle probably would not be one of the largest castles in the competition but surely one of the best designs. He also mentioned in the description that this castle is the remake of the Crown Knights Castle built by De Gothia.